GM Angelo Baldissone 8th Dan is the originator of Filipino Kyusho System, it has been born out of over 44 years of dedicated study in the fighting arts, even today still practicing hours a day every day, Having Studied with many Grandmasters across the globe in order to find, explore and apply the principles and concepts contained within all martial arts. GM Angelo started with boxing and judo at the tender age of eight, he has a very strong traditional background in karate (36 years) graded by Master Enoeda, Classical Arnis with GM Rene Tongson of the Philippines. 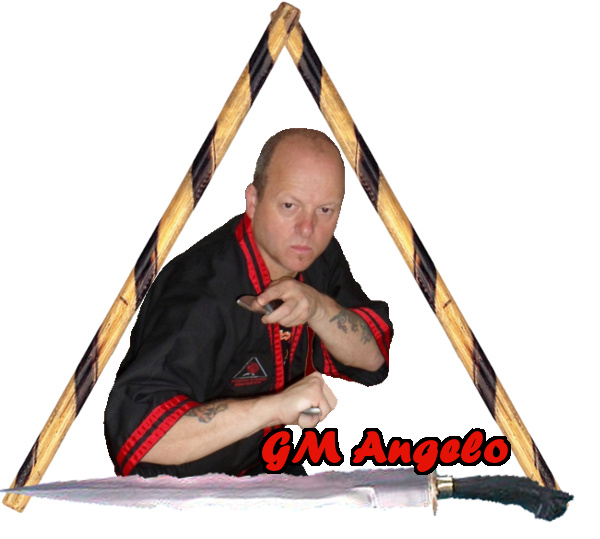 GM Angelo has studied many arts including Kyushojitsu (pressure points), Aikido, Jujitsu, Kung fu, Thai Boxing, Italian knife, but it’s the principles contained in these arts and how they relate to each other that is the most important thing it’s not enough to collect lots of techniques (baggage), when you understand the principles you can do and make as many techniques work as you want. Please remember the techniques are there as a way of studying the principles. Techniques are not the actual martial art or style its self. Filipino Kyusho is not another style or set of techniques, it is a philosophy meaning that you can do Aikido, Thai Boxing, Jujitsu, Karate or any other martial art and still, by doing Filipino Kyusho. To encapsulate Filipino Kyusho we would say it is the art of flowing and blending with pressure point striking which is done without the need for thought or prearranged movements. You would practice the principles until you become one with yourself and your opponent, allowing you to perform exactly what is required without conscious thought or effort. The principles work on everyone, the techniques do not unless you know how to apply the principles. Some Instructors will make some techniques work by hitting on the principles by accident an example if you do a technique over and over again you may gain some of the principles. My way of teaching is to start a beginning student from the word go to understand the principles and concepts, this has led me to have many discussions with other instructors. They pointed out that it takes 20/30 years of just doing techniques over and over again to gain some of the principles and to me this is why I teach the way I do always principle-based, you must know what you are trying to accomplish and achieve, just doing techniques blindly and then making some excuse up why things are not going right is not acceptable to me and you are not really helping your students or the people you come into contact with understand their chosen martial art. GM Angelo has produced over 60 DVDs containing these principles through the medium of empty hands, pressure points, stick, and knife work, locking, footwork, grappling, body dynamics, groundwork, boxing, pad work and so on. Please visit his site to learn more.